It’s finally the day ! 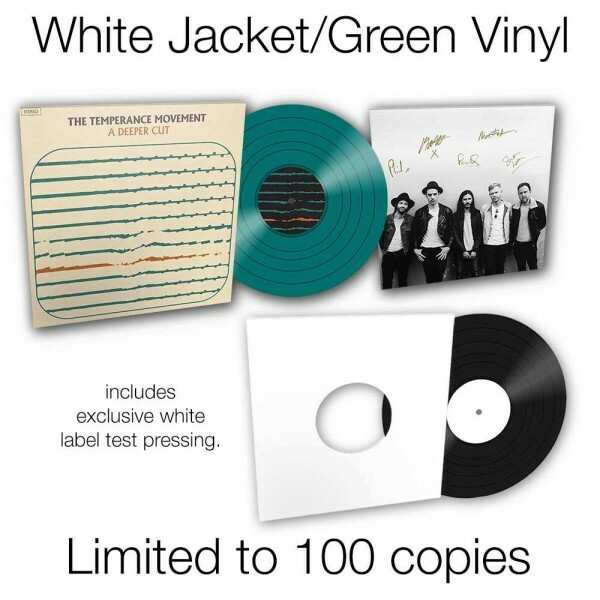 You have had to be quick in order to grab a limited White cover + “test pressing” as they were limited to 100 copies and lasted 11 hours. There’s more variant than for White Bear, as you can see in the slideshow below. Head to the Earache Store to buy yours ! MOSH606CDS : CD with a signed photo-card (available with a voucher sold at shows and on the store). Available as a bundle with a t-shirt (MOSHPACK606CDS). MOSH606LPS : Black vinyl with a signed photo-card (available with a voucher sold at shows or in Sweden shops). MOSH606LP-GG : Green vinyl with a green cover, signed photo-card, 200 copies. MOSH606LP-CG : Clear vinyl with a green cover, signed photo-card, 300 copies. Available as a bundle with a t-shirt (MOSHPACK606LP-GG). MOSH606LPI : Orange vinyl, 1000 copies. Limited to HMV and indie stores. I think I got it all. Let me know if you’re coming across another version ! Enjoy Caught In The Middle while looking at the slideshow. Designed by Inkhive Theme. © 2019 The Red Vinyl. All Rights Reserved.